Providing you the best range of Organic & Herbal Extracts such as Soyabean Extract - Soyaisoflavone, Elder Berry Extract, Gynostema Extract, Guduchi (Giloy) Extract, Mulberry Leaf Extarct, Kudzu Extract and many more items with effective & timely delivery. 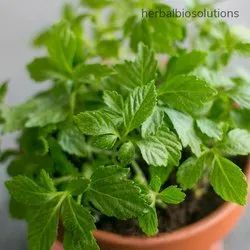 Gynostemma Extract that is highly demanded in domestic as well as international market for their unique features. 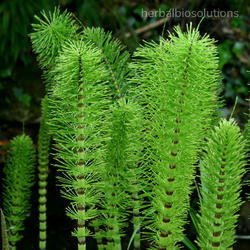 It is used for high cholesterol, high blood pressure, and improving heart function. Our vendor’s nimble professionals make use of latest technology in the production process of this extract. Further, our offered extract is tested by our quality personnel on different aspects before making their final delivery at clients' end. 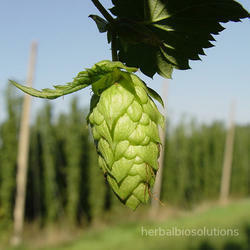 Hops Flower Extract that are used for flavoring purpose. The offered extracts are processed by our vendors’ deft professionals using latest techniques and hence are widely demanded in the market. In addition to this, we offer the offered extracts in safe packaging to preserve its quality for longer period. Moreover, we are providing these extracts at pocket friendly prices to our clients. These extracts are extracted and processed under the direction of skilled team of professionals using best quality horsetail. The offered extracts are available in diverse packaging options and can also be personalized pack as per the needs of the clients. The offered extracts are cherished by our clients due to their attributes such as freshness, purity, delectable taste and long shelf life.